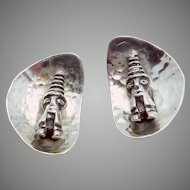 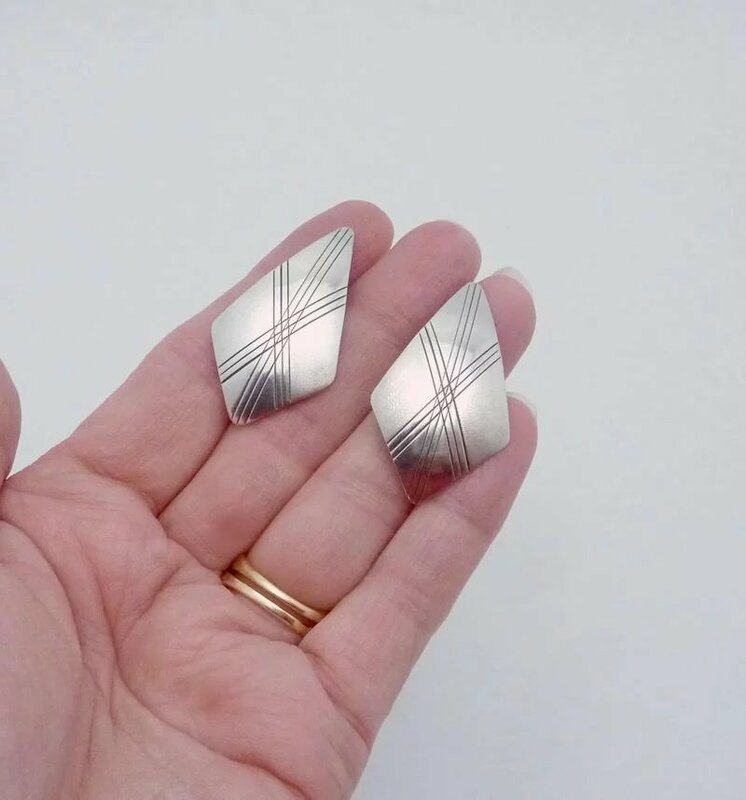 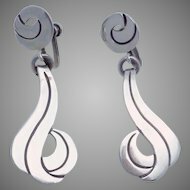 I am pleased to offer this pair of vintage sterling silver earrings by artisan Sam Graves. 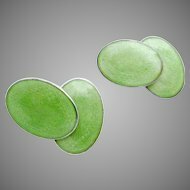 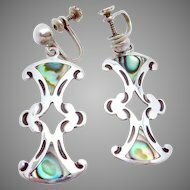 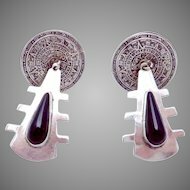 They are very much in a Native American or Navajo style and are large kite shapes with etching and stippling in the silver. 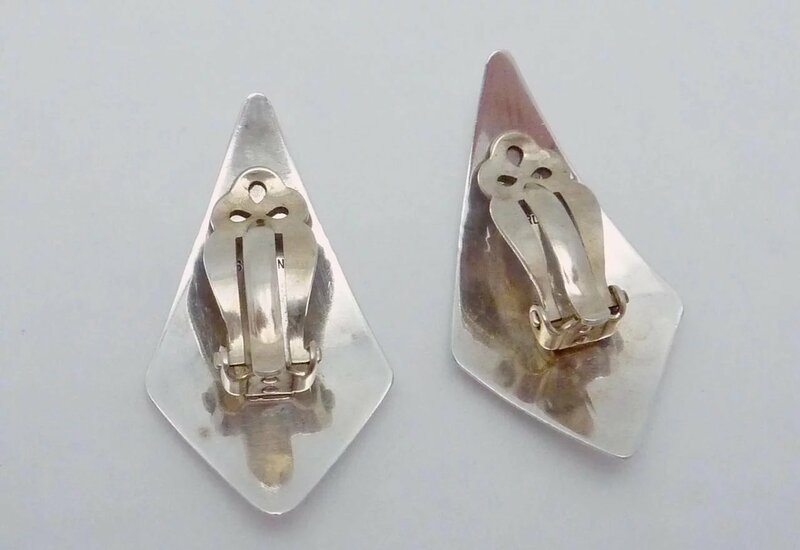 The earrings close with well working clip backs. 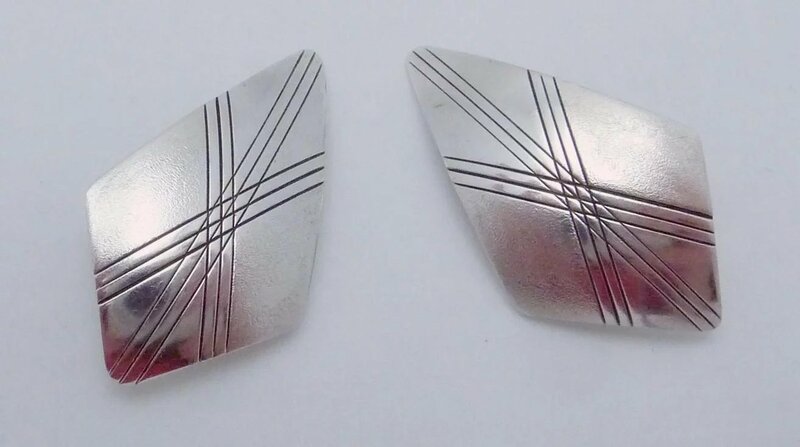 Very impressive when worn! 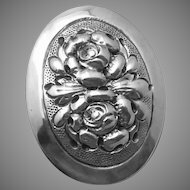 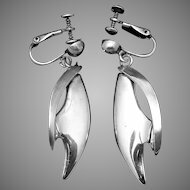 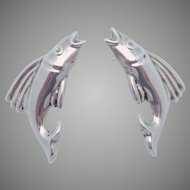 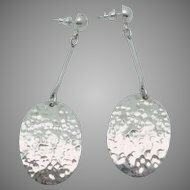 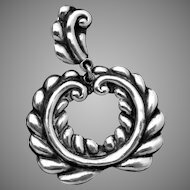 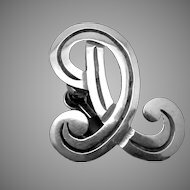 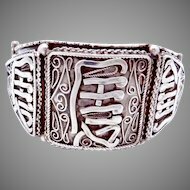 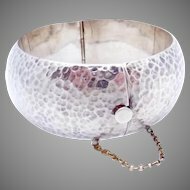 Graves was born and raised in Texas City, Texas, and lived in the Pagosa Springs, Colorado area from the 70s to possibly the mid-90s and worked as a silversmith. 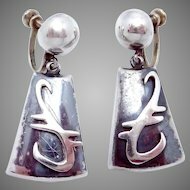 Graves switched his hallmark to a butterfly in 1975, so the mark used on these earrings indicates early work. 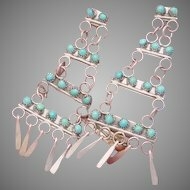 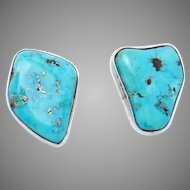 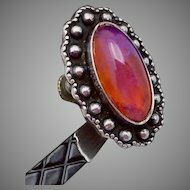 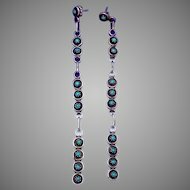 Many incorrectly identify his work as Navajo since it is very Southwest influenced and often uses Native American designs and stones. 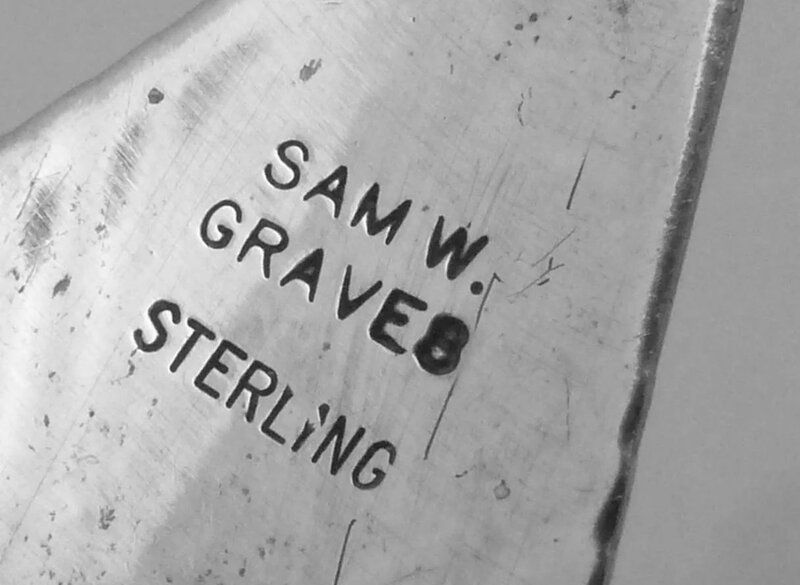 Graves currently lives and works in Arizona.